Peter Gabriel's Special 'Scratch My Back' London O2 Date - Tickets on Sale Now! It's been a fair while since Peter Gabriel's last album proper ('Up' in 2002), but he will break his audio silence with a special date at London's O2 on Saturday March 27th 2010. The evening will see the WOMAD master showcase his forthcoming new album, 'Scratch My Back', a collection of cover versions that Peter holds dear. He will no doubt dip into his pandora's box of catalogue classics as well. Tickets are on sale now priced at £40, rising to £50 + booking fees. The new album will feature Gabriel's renditions of songs by Elbow, Radiohead, Bon Iver and Neil Young, with orchestration by Durutti Column's occasional viola maestro, John Metcalfe. Expect the same lush sound for this night! 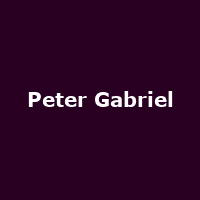 The date is special for another two reasons - Gabriel turns 60 next year plus he is playing at the very same venue he devoted an entire album to in 2000, for the original Dome opening exhibition. 'Ovo' featured glorious guest vocals by Liz Fraser (Cocteau Twins) and Paul Buchanan (Blue Nile) and is well worth seeking out (it was released on his own Real World imprint). With the first date sold-out on the day it went on general sale, a new date has been added at the O2 for 28th March.